A Kingston graduate is developing a woman’s development and empowerment scheme for females in Kenya, after an eye-opening experience during a trip back in October and November. 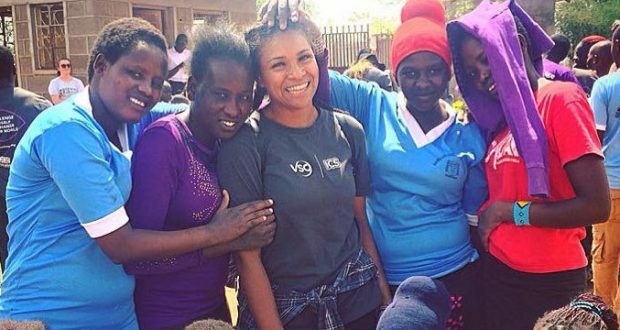 Shonesé Howell, 25, went away on a ten-week placement with ICS in order to help local communities in Eastern Africa, however, came away touched by the issues faced by young Kenyan girls. “Since coming back and reflecting on the time, I’ve written stories about it and one thing that really stood out to me was the lack of engagement from girls over there. Not because they didn’t want to get involved, but because of their confidence,” said Howell. FGM, short for female genital mutilation, was made illegal in 2011, however, is still present in Kenya and conducted underground, making it a real risk for many young girls. During Howell’s placement, a particular experience made her realise how much she wanted to help young girls in Kenya. Despite volunteers attempting to help the girl, various issues with paperwork didn’t allow it, meaning she was unable to leave her mother despite the abuse she was receiving. “By creating an after-school club, it’s providing a safe place for the girls. And also a way for them to be checked upon because it’s every week, for example, the parents can’t get away with FGM and things like that. It’s combating that and improving their confidence, and assertiveness, also their self-worth. Howell and other volunteers are liaising with contacts in Kenya and having bi-weekly meetings to discuss plans to develop the scheme. “The girls’ access to education is very different. The women are the ones at home doing cooking and cleaning, and if families have a girl, they expect the girls to help, which takes away from their time in education. Girls are raised to believe that they aren’t important and that they shouldn’t speak around a man.” said Howell. Howell is hoping that other volunteers will be able to participate in the empowerment scheme once it is fully developed. Howell is now living in Kingston, and is eager to do more for communities abroad in the future.